More Horsepower! The stock 1996 to 2004 4.6L GT Mustangs came with a respectable 260 Horsepower and 302 lb/ft of Torque from the factory, but after installing a Hellion Single Turbo Kit you will be planting a ground pounding 350 to 850 Horsepower to the pavement (depending on custom tuning and fuel upgrades). Complete Kit. 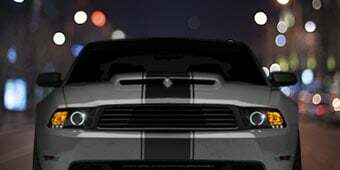 The Hellion Mustang Single Turbo Kit comes with a Turbonetics 62mm Turbo, injectors, programmer with base tune installed, and all the required parts and hardware needed to upgrade your mild manner pony to a wild snarling beast. Application. This Hellion Single Turbo Kit is specifically designed for use on the 1996 to 2004 GT Mustangs equipped with the 4.6L V8 engine, excludes Bullitt model. (1) breather hose 5/8" x 20 "
What accessories are needed on the top end? I have a stock block w/ stock crank and forged rotating assembly (99' gt) shooting for 500-550hp (limited by cast crank obviously). Can I use my stock PI heads,cams,intake etc. with this kit? If you have fully forged internals (aside from the crank) then the motor will handle up to 600rwhp comfortably. You can use your stock heads up to about 450-500. 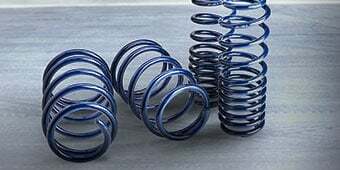 If you upgrade your heads with a set of stainless steel valves and brass valve guides along with stage 3-5 springs, you will be set up for success. You can use your stock cams and have no trouble what so ever. If you want to upgrade them that would be great to. But you can only go up to about a stage 2 turbo cam with notching your pistons. Stage 1 turbo cams would be a great upgrade without any problems. The stock intake will be alright but in my own opinion I would upgrade it to a typhoon intake or the edelbrock victor jr you will need to upgrade your fuel rails. BBK high flow fuel rails. When and if you get this kit, if you want to get all the power you can you need to upgrade to the SVT ford focus 255lph fuel pump and that will get you to where you want to be on HP. Of course you are going to need a Boost-a-pump. You will also need 42lb-60lb injectors. Any other questions just post them. A good set of cams and a nice spring upgrade should do the trick. Keep in mind that with any kind of forced induction that your flow will only be as good as your heads, cam, springs and intake manifolds allow it too. A set of ported heads with a nice set of cams and springs will help you a lot. Hello! Unfortunately, this turbo kit is not CARB legal! I have a 2005 F150, with the 4.6L 2v. Would it be fairly simple to modify this kit to work with my truck? I know the main difference between my motor and an '04 GT's is the intake and throttle body. Hi, We can not guarantee fitment of this Hellion Single Turbo - Complete Kit on anything except the 96-04 Mustang GT i suggest speaking to a local performance shop that works with turbos they should be able to find you a set up for your F-150. How much horsepower is the base tune putting out? What other accessories will i need to get around 500 hp out of this turbo? Your pony came from the factory with right around 230rwhp. 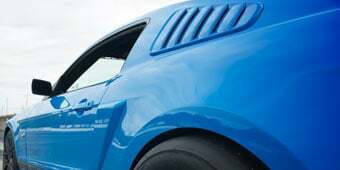 Unfortunately the 1999-2004 stock mustang interals will max out right around 450rwhp. To daily drive, 400rwhp is the max. After that you will be killing her quick. 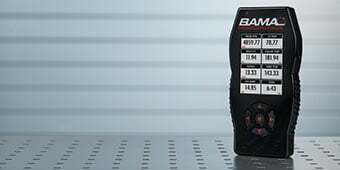 You will need upgraded internals, along with frame upgrades such as torque box plates, and ofcourse subframe connectors. This will ensure your 500hp monster modular motor doesnt twist your frame.As as side note, the stock 1999-2004 mustang block itself is good for 1000rwhp. 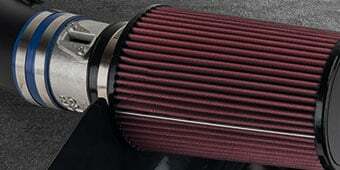 Once your longblock is upgraded for boost, 500rwhp will be easily obtainable. If you have forged internals, then you need 42lb-60lb injectors, 255lph fuel pump, better fuel rails, Boost-a-Pump, tubular k-member for header clearance. Optional: you can up grade your cams to a stage 1 and be just fine. What modifications should I make for the car to receive the most horsepower from this kit and to also handle it? We would recommend talking with your mechanic for this build but to start you will want to look at forged pistons, rods, and springs. Any modifications will vary depending on application, as this kit is able to produce a wide range of power. 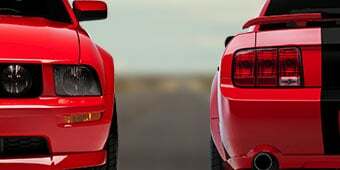 For a base install, we would recommend at the least an upgraded clutch for manual transmission Mustangs, however for higher power setups, additional modifications are going to be required. 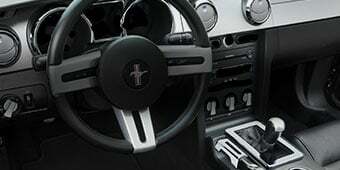 Yes, this kit was designed to work with the stock GT model Mustangs and while it adds more power to your Mustangit wouldn't be bad for your Mustang as long as it can handle the added power. We would recommend upgrading the driveshaft and suspension parts for the added power. This can use the factory K member yes. Required modifications with the Hellion Single Turbo will vary, as this kit is able to produce a wide range of power, depending on modifications and your power goals. 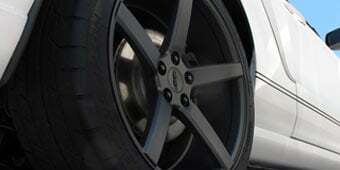 For a 350-400hp setup, we would recommend a new clutch and flywheel for manual cars. Required modifications with the Hellion Single Turbo will vary, as this kit is able to produce a wide range of power, depending on modifications and your power goals. For a base install, we recommend an upgraded clutch for manual transmission cars, however for higher power setups, additional modifications will be required. 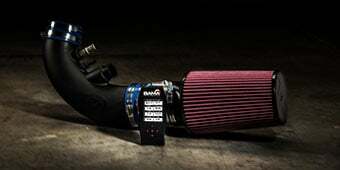 The Hellion Single Turbo Complete Kit will specifically fit the 96-04 GT models. The Hellion Single Turbo Kit will be a great upgrade in addition to the aftermarket parts you already have installed! This kit will perform great with a stock block as long as the car is tuned properly. I needed more hp so i searched for a good power gainer. And i found out that this turbo gave me alot of hp gain. I got it dynoed ant tuned and it gave me and extra 50 hp. Highly recomended. Helpful (36) Thanks for your input!